Passport/Visa Requirements: Americans with US passports valid for more than 6 months are welcome to enter the UAE and no longer need a visa if staying less than 1 month. Dubai is unlike any other place I’ve ever been. This sparkling city on the edge of the Arabian Gulf has exploded over the last 30 years into one of the world’s premier luxury destinations. The shallow waters of the Gulf allow the building of man-made islands in fanciful shapes, covered with developments that are like mini-cities. Shopping is a major attraction here, but there are also plenty of family-oriented activities: horse racing, massive water parks, even an indoor ski resort. The hotels and resorts themselves are something to see – innovative architectural creations that are lavishly decorated down to the last detail. Service is exceptional and we always felt completely safe. The United Arab Emirates is one of the safest countries in the world, and crime is almost unknown in Dubai. All this over-the top glamour makes Dubai seem brand-new, but it’s steeped in Arabian culture. No one should visit here without spending time in the old center, bargaining at the souks and strolling along the waterfront of Dubai Creek. 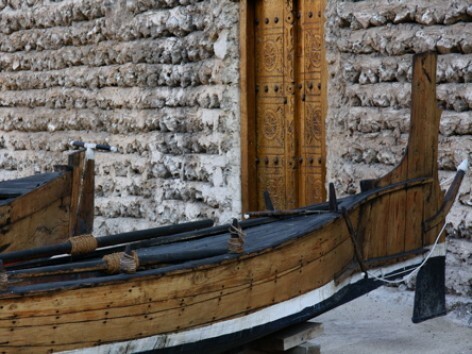 Dubai’s excellent museum is a must-see, and the historic neighborhoods of Bastakiya and Shindagha offer fascinating glimpses into Dubai’s past. On my first visit, I enjoyed Dubai so much that I had to come back a few months later with my husband Terry. This time, I wanted to explore the miles of desert stretching behind the city. When we arrived, we went immediately to the Al Maha resort, located on an 87-square-miles desert reserve 45 minutes from Dubai. The resort is modeled on the safari lodges of southern Africa, down to their unfailingly courteous, English-speaking South African staff. We relaxed with some spa treatments, went on an exhilarating dune safari in a 4x4, and watched a truly impressive falconry demonstration. After two days in the desert wilderness, we headed back into town, where we stayed at the magnificent al Qasr, really three hotels in one. The shopping and sightseeing were great (and the restaurants were phenomenal), but the best experience was the helicopter excursion we took, where we were able to look down on the world's tallest building. Dubai is exotic, indulgent, filled with history and novelty – and a lot of fun. After two visits here in less than six months, I’ve barely scratched the surface. I can’t wait to come back again with the kids.